If you haven’t heard about Bali’s insanely beautiful sunsets you probably haven’t heard about Bali. 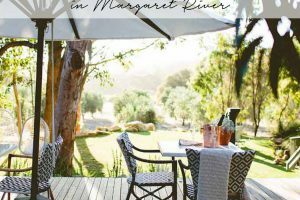 And where else to spend the most relaxing time of the day than at one of the island’s most memorable sunset viewpoints with good tunes and great company. 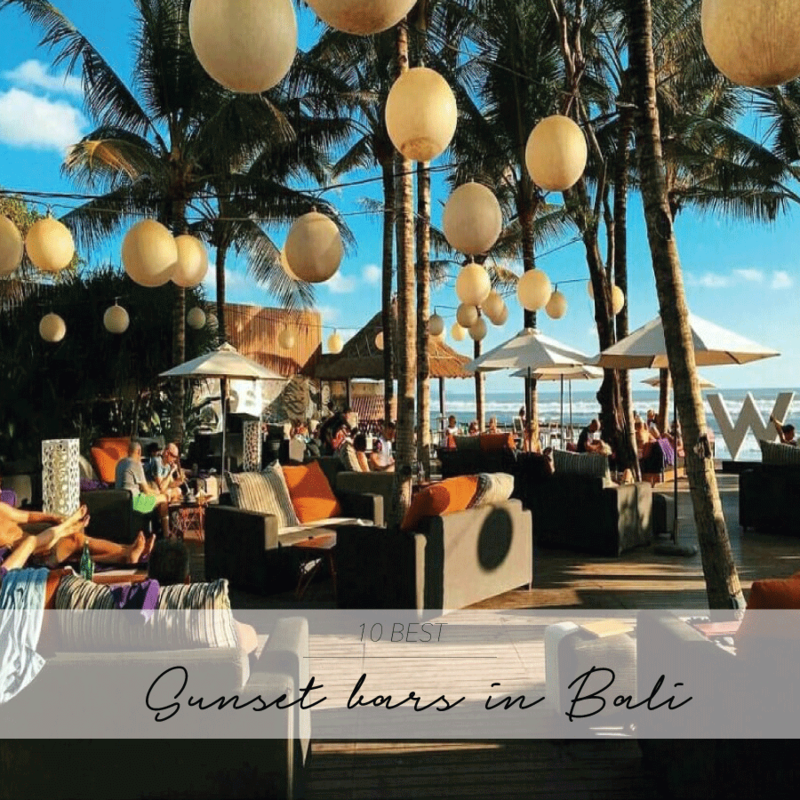 Read on to find out the best sunset bars in Bali you can’t miss! The Lawn was designed to fit right into its beachfront location and showcases the ocean and sunset views they have become famous for. Enjoy a glass of their signature frosé and have a quick dip to cool down after sunbaking on the lawn in their beachfront infinity pool. 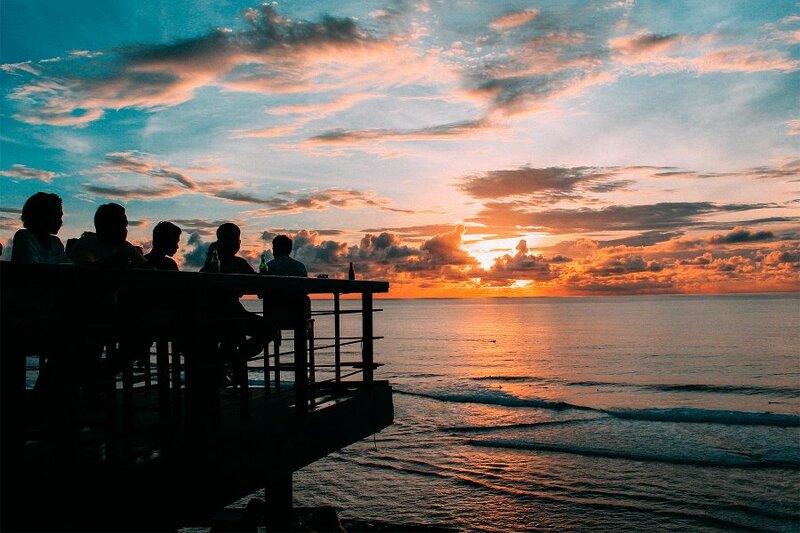 Move to the sunset deck to end the day and capture the best views of the whole west coast from Uluwatu to Tanah Lot. 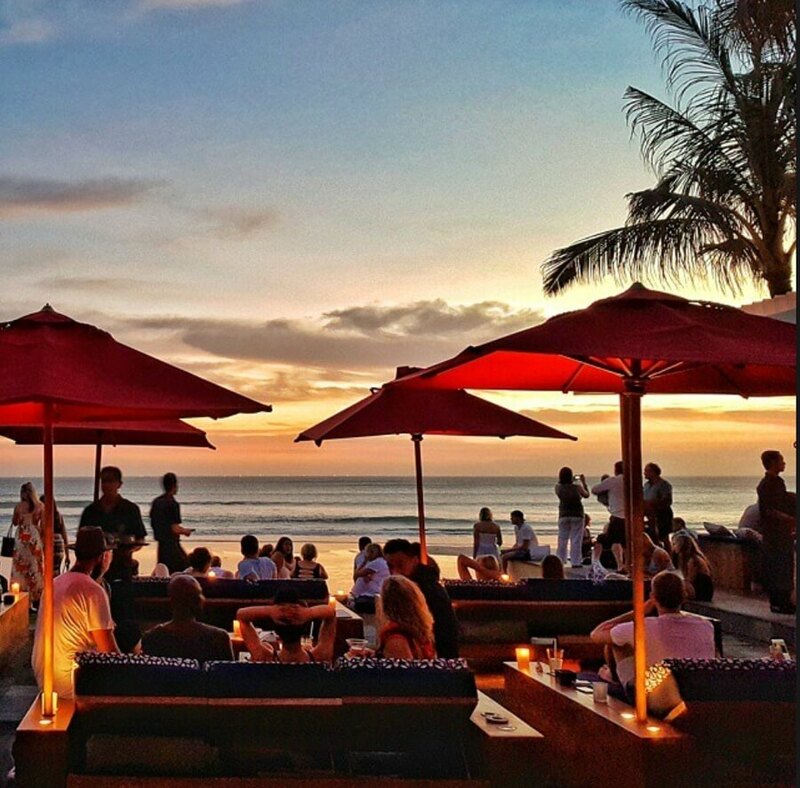 Needless to say, this Canggu favorite more than deserves its spot among the best sunset bars in Bali! 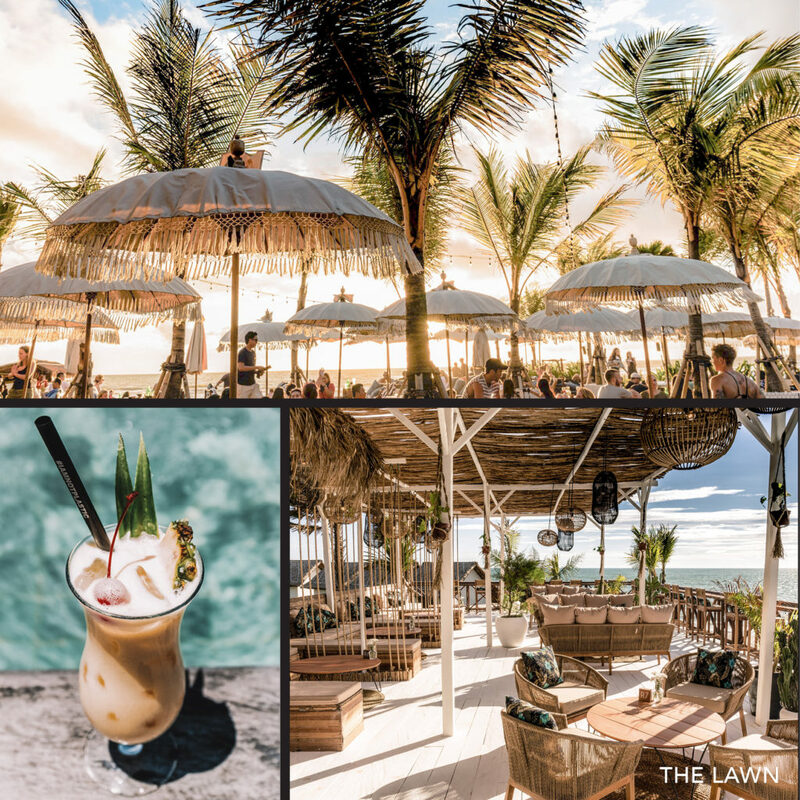 TAC Tip: Use your Hungry In Bali copy and get 2-for-1 main dishes at The Lawn in Canggu. Enter the breezy lobby of Alila Seminyak to be spoilt with undisturbed ocean views and a feeling of airy lightness. Venture on to the Beach Bar through the luxury grounds until sinking into one of their comfortable beach chairs on the deck. One of the best spots in Seminyak for sunset, you’ll be spoilt for choice with their premium cocktail and wine selection, accompanied by well selected, locally-inspired bites and evergreens with vegan and gluten-free options. You cannot go past their Alila signature cocktails – our favourites being Coconut & Lime Daiquiri for the ultimate tropical flavour & #AlilaMoments made with passion fruit puree topped with the finest bubbles! 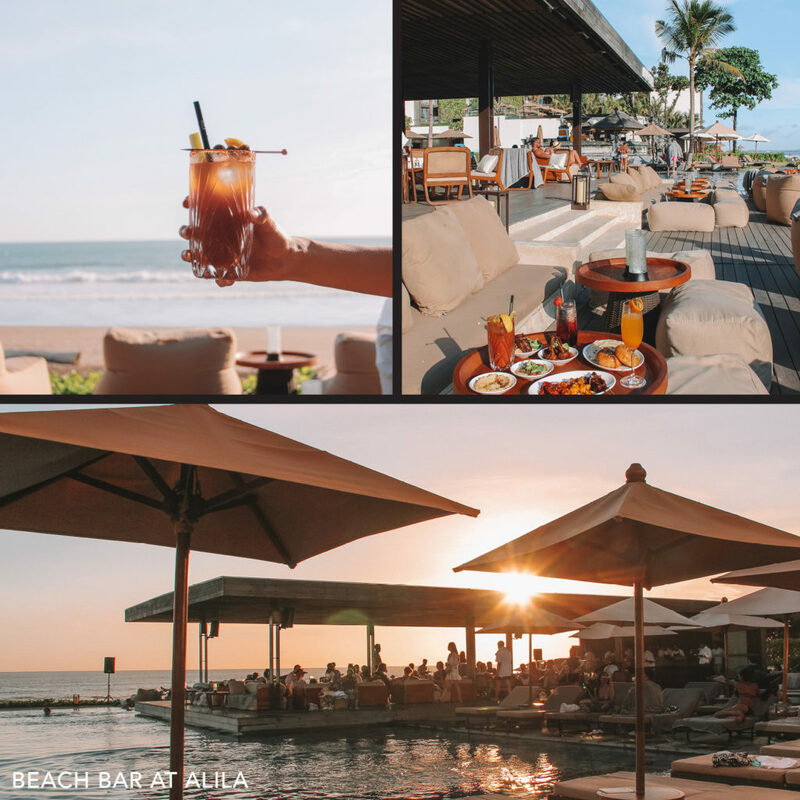 TAC Tip: Get 2-for-1 Cocktails at Alila Beach Bar in Seminyak with your copy of Hungry In Bali. Located across from Bali’s buzzing Double Six Beach lies SugarSand Beachside Bar & Restaurant. 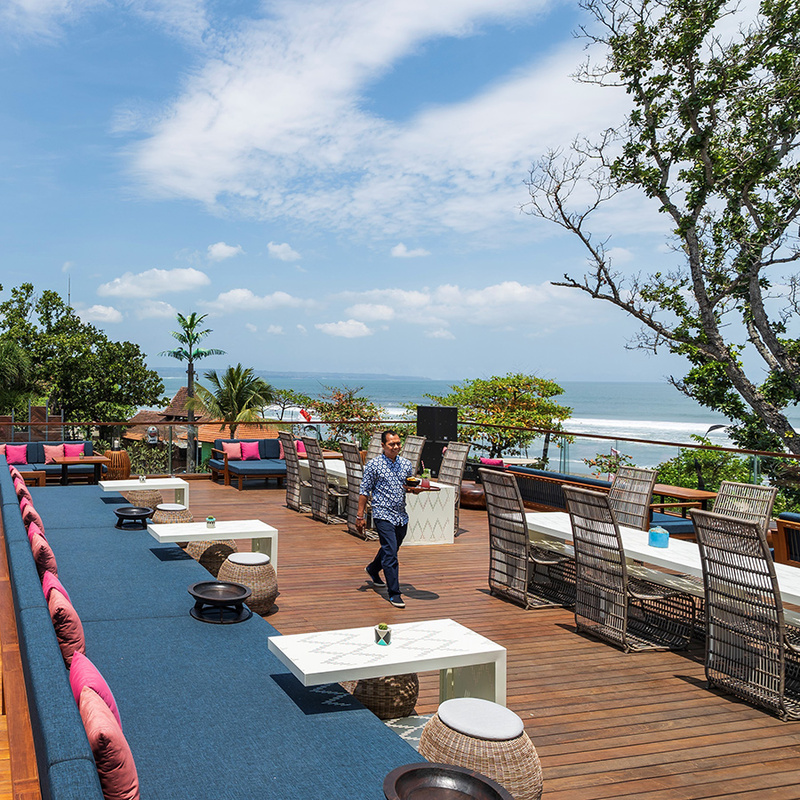 A testament to the location, SugarSand is indeed a sweet spot nestled in the heart of Seminyak’s vibrant beach bar scene with incredible ocean views. Soak into one of the poolside lounge chairs with a cocktail in hand to enjoy stunning sunset views across the ocean directly in front of you, or, make your way to the open-air deck above for an elevated sunset experience. For the ultimate beachside experience, flavorsome Nikkei inspired plates, refreshing cocktails, and a cosmopolitan meets tropical atmosphere, SugarSand is your destination. Don’t forget to swing by on a Sunday to enjoy SugarSand’s Seventh Heaven Sundays with in-house DJ tunes to take you from a midday soiree to a sundown groove. Single Fin is the ultimate must-visit venue in Uluwatu with its large balcony overlooking the dramatic cliffside, boasting stunning views of the spiritual home of surfing. Days at this laid-back surfer’s favourite are accompanied by the tastiest of fusion cocktails while watching the surfers ride the waves of Bali’s famed surf break. Enjoy their delicious sharing plates with your friends from one of the island’s best sunset locations to the tunes of renowned resident DJs. Join the hip crowds for one of the island’s most hyped Sunday sessions for a dance under the stars. 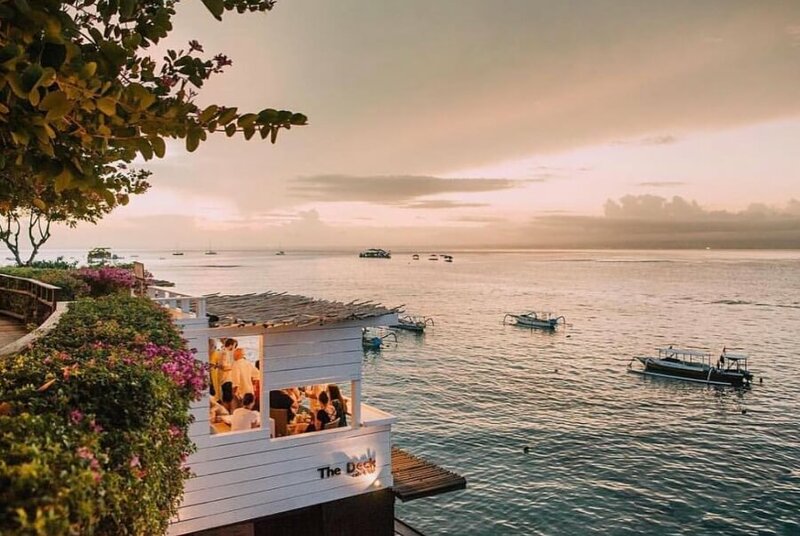 TAC Tip: Get 2-for-1 main dishes at Single Fin Uluwatu with your copy of Hungry In Bali. Nestled on the stunning coastline of Uluwatu lies the tropical oasis Karma Beach Club. Going down the dramatic cable car with breathtaking views of the Indian Ocean is the perfect start to a relaxing day by the white sandy beach! 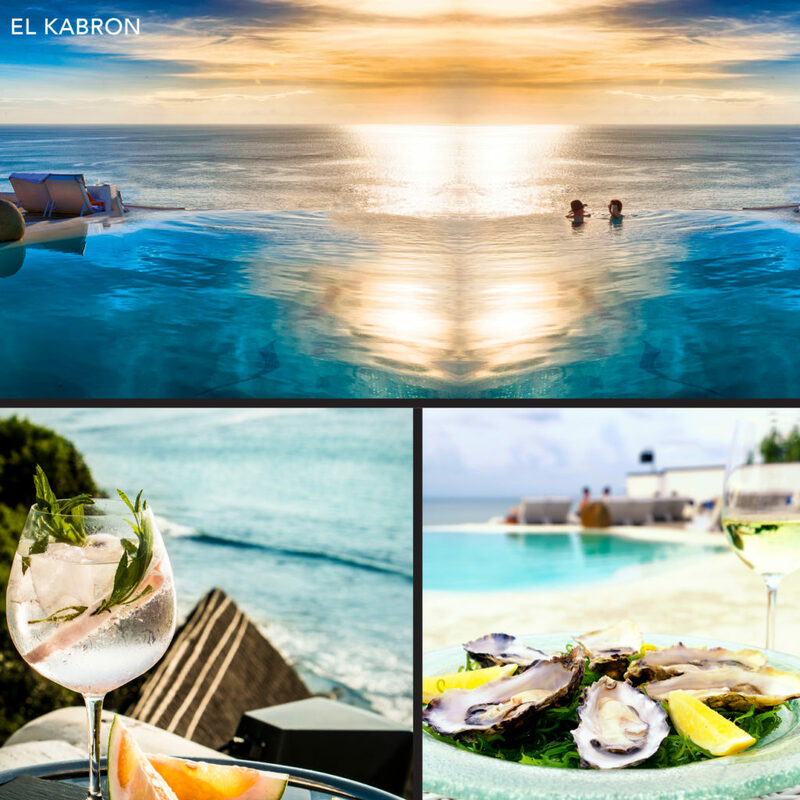 Indulge in the most amazing seaside Mediterranean cuisine, fresh seafood, sushi, and wood-fired oven pizzas and enjoy one of their signature cocktails such as the Spiced Mule or Karma Tropic Mojito while taking in a breathtaking sunset. 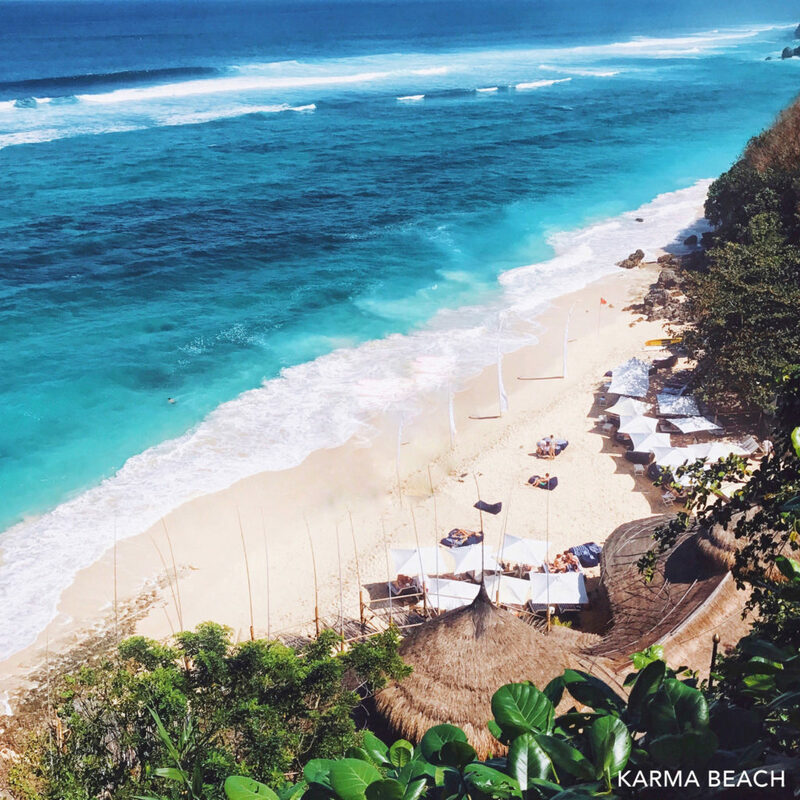 TAC Tip: Receive 25% off the bill at Karma Beach Uluwatu with your copy of Hungry In Bali. 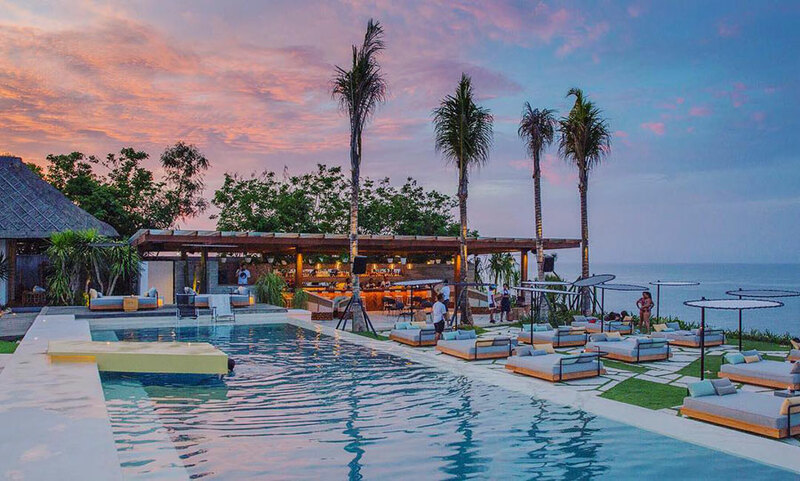 Step up your tanning game at Karma Beach – one of Bali’s most iconic beach clubs – and end the day with a stunning view over the famed infinity pool and dramatic clifftops paired with a seasonal fine-dining cuisine focusing on super-fresh ingredients. Treat yourself to their Friday Steak & Wine night and indulge in this amazing experience for your taste buds while the sun is setting behind the Bukit’s rough coastline. 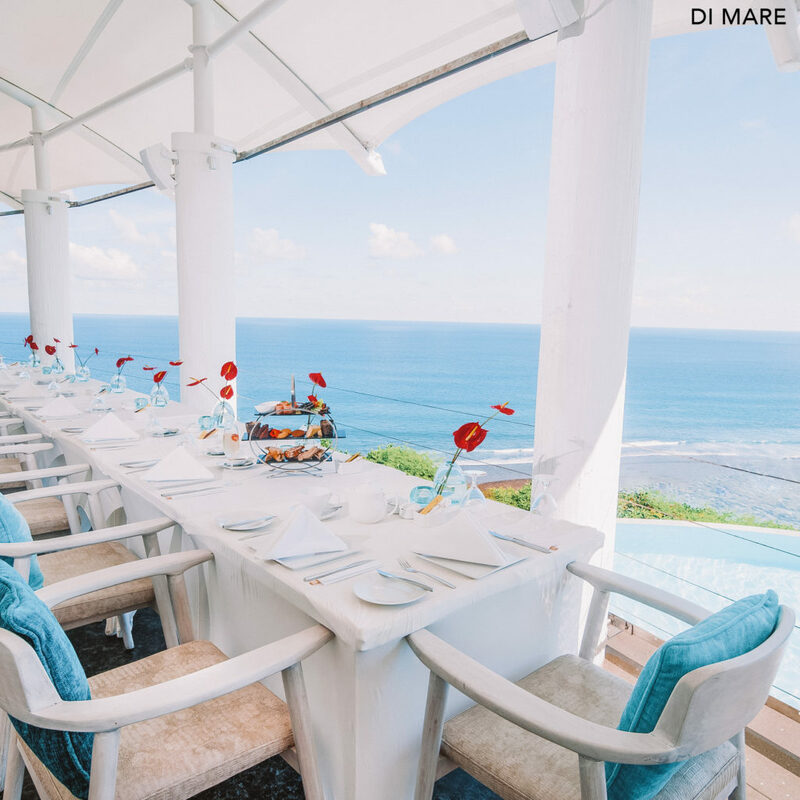 TAC Tip: Receive 2-for-1 main dishes at Di Mare Restaurant Uluwatu with your copy of Hungry In Bali. 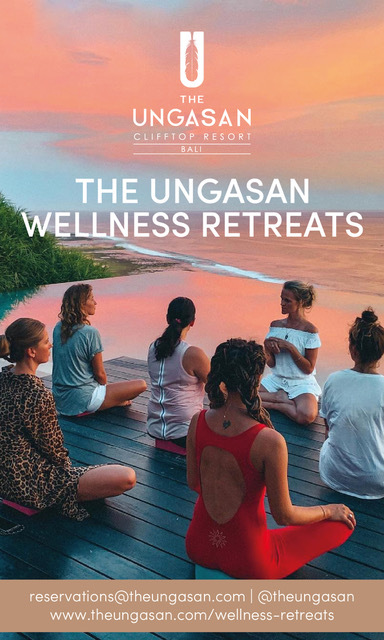 Perched 50 meters above sea level on the rocky heights of Uluwatu lies the Cliff Club El Kabron, boasting one of the most secluded sunsets on the Island of Gods. Get ready to experience a truly Spanish atmosphere including Ibiza house music vibes and delicious seafood, paella and tapas dishes as well as a breathtaking 180-degree view of the Indian Ocean. With 365 days of astonishing sunsets, you cannot miss out on this exquisite Spanish dinner experience in one of Bali’s prime locations, and chill till late to breezy tunes. TAC Tip: Receive 2-for-1 main dishes at El Kabron Uluwatu with your copy of Hungry In Bali. Welcome to a redefined beach club experience which more than deserves its spot amongst the best sunset bars in Bali. The stunning Ulu Cliffhouse offers the most breath-taking sweeping ocean views from a soaring clifftop on Bukit’s stunning south coast. Soak into one of their lounges alongside the infinity pool or atop the cliffside ocean deck while enjoying world-class cuisine and cocktails from the open-air restaurant with killer sunset views. 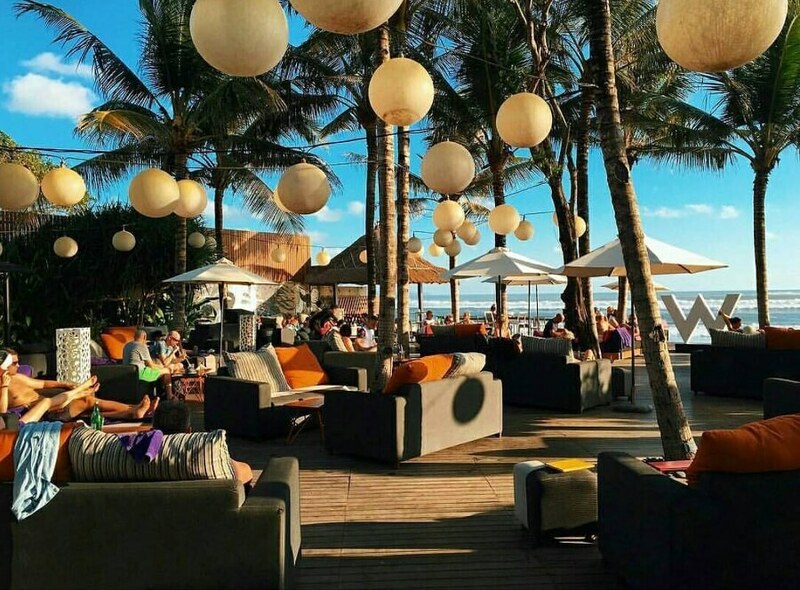 W Retreat & Spa’s hippest bar on the island is offering one of the most stylish happy hours in Seminyak (that actually lasts until sunset 4-6pm, woo!) along to the sounds of globally known DJs playing fine tunes. Score one of the first-row bar stools or lean back on their daybeds sipping on a Woojito and watch the sunset over the ocean. Obviously, you have added this must-go-to your Bali bucket list! The beach club which also includes one of Bali’s most famed restaurants is known for its prime sunset spot! Sip on one of their signature cocktails while whipping your feet to the latest tunes and people-watch on Seminyak’s sunset boulevard – the beach. 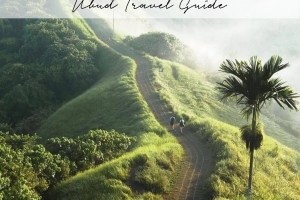 TRAVELING TO BALI SOON? SHOP OUR ULTIMATE BALI DINING GUIDE & SAVE UP TO $1,000! Located 14 meters above ocean level on cliffs formed by mother nature, lies one of Bali’s most iconic bars and sunset view spots. The spectacular cable car ride down the cliffs is only the beginning of the experience: carefully arranged signature cocktails and nu-disco inspired tunes will set you in the right mood! It’s time to dress up: singlets, board shorts and alcohol-branded T-shirts are against the dress code. Only a 30-min speedboat ride away from Bali, lies the tropical paradise island Nusa Lembongan. Located along the boardwalk waterfront – prime views of the photogenic local fisher boats anchoring in the glistening blue ocean guaranteed! – The Deck Café & Bar is the place to enjoy a gelato ice cream and end the day with a tasty cocktail. Join them on a Sunday for sunset session with chilled house beats to International DJs and if you look closely you might get lucky on a clear day and spot the volcano Mount Agung! 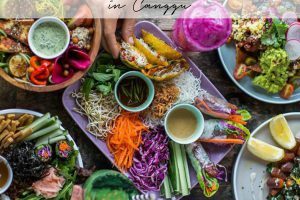 Our guide directs you and your travel partners in crime to Bali’s 60 hottest must-visit venues as that cannot be missed across Seminyak, Canggu, Ubud and the Bukit Peninsula. But the best is yet to come – each venue offers a unique privilege when presenting your HUNGRY IN BALI premium print hard copy or e-book before ordering. 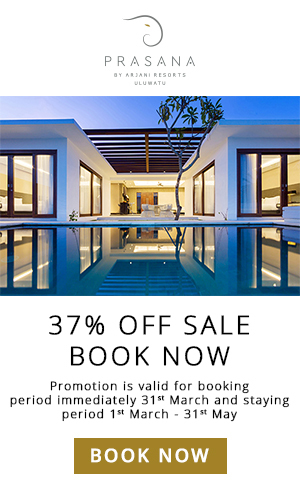 Receive 2-for-1 main dishes and spa treatments, complimentary cocktails, 30% off your bill and many more unique privileges across Bali’s best restaurants, hippest cafes, trendiest beach clubs and most relaxing spas. So we not only guide you to the hottest places in Bali – but we also help you to save up to US$ 1,000 on your Bali trip! 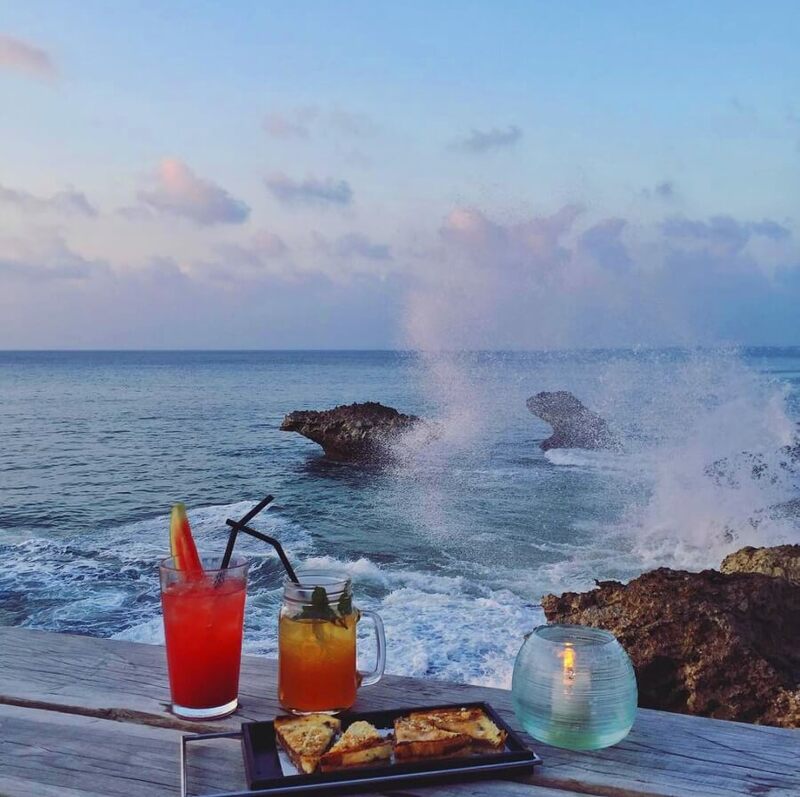 Keep on reading for a sneak peek into HUNGRY IN BALI‘s unique privileges that will await you at the island’s most famed venues. Do you have any recommendations that didn’t make the list? We’d love to hear from you! 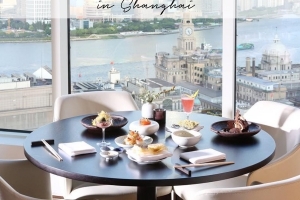 Join The Asia Collective – “Luxe Travellers” group on Facebook to share your insider-tips and ask for advice from like-minded travelers.